It's the time of year when networks start ordering pilots for proposed TV series for next year's fall schedule. The Hollywood Reporter has a wrap-up of what's been ordered so far. It looks like this is the first pilot season in years that doesn't include a "re-imagining" of an old TV show. Thank God. But there are plenty of adaptations of movies in the works (About a Boy, Bad Teacher, Beverly Hills Cop, etc.) and quite a few based on books. Logline: What happens when the people you have mourned and buried suddenly appear on your doorstep as if not a day's gone by? The lives of the people of Aurora are forever changed when their deceased loved ones return. 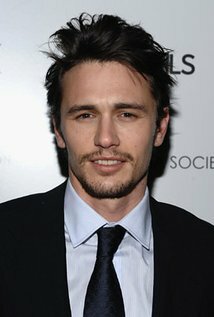 Logline: The son of a Kennedy-esque family leaves the priesthood and becomes a lawyer to prevent his politician sister from being assassinated. Logline: Based on best-selling trilogy about a world where love is deemed illegal and is able to be eradicated with a special procedure. With 95 days to go until her scheduled treatment, Lena Holoway does the unthinkable: she falls in love. Logline: When members of the Federal Witness Security Program start getting killed, U.S. 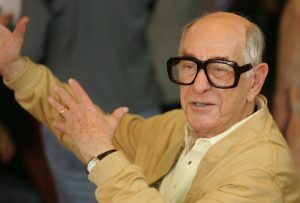 Marshal Dan Shaker leads the hunt for the person who stole “the list” – a file with the identities of every member of the program. Logline: A contemporary pulp thriller that revolves around an orphaned young girl named Bird Benson, who because of an accident of birth is caught in the struggle between two warring families of mercenaries and killers. Mentored by a Chinese man, Bird has to accept the quest to find and defeat her mother in mortal combat if she is to ever lead a normal life. 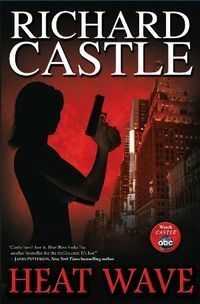 Publisher Hyperion, which had success with similar projects connected to sister company ABC’s soaps “One Life to Live” and ” All My Children,” decided to bypass a traditional TV tie-in and instead go with a Richard Castle-authored book after seeing the greenlit pilot. Castle’s name alone appears on the books, without any nod to a real-life scribe. “The main character’s a writer! How perfect is that?” says Gretchen Young, an executive editor at Hyperion and its editorial director for ABC Synergy. […] The show plays with fiction and reality: On it, Castle has talked about his upcoming publication commitments with his agent (yes, Hyperion will be publishing two more) and played poker with real-life mystery writers James Patterson and Stephen J. Cannell, who died in late September. In an upcoming episode, “Heat Wave” — a novel written by a fictional television character — has been optioned by Hollywood. “It gets very meta in the show,” Marlowe admits, laughing. And in person. As part of Hyperion’s release last year of “Heat Wave,” Fillion appeared as Castle at two Southern California bookstores. Carl Beverly and Sarah Timberman, the producers of JUSTIFIED, have sold a TV series pilot to FX based on my brother Tod Goldberg's short story Mitzvah. Crime writer Joel Goldman is often mistaken for my brother, so I suppose it's only fitting that those same producers just sold CBS a TV series pilot based on Joel's short story Knife Fight. Now if either pilot goes to series, I am expecting my brothers to play the nepotism card and insist that I be brought on staff. The Wrap reports that studios are buying lots of books these days by first-time authors, though not all of them are necessarily newbies when it comes to writing. For instance, Paramount snapped up Hank Steinberg's yet-to-be-published novel OUT OF RANGE, the first in a tw0-book series. While Steinberg may be new to publishing, he's hardly new to Hollywood — he was the creator of the long-running CBS series WITHOUT A TRACE. Even so, it's interesting to see Hollywood chasing books at a time when everyone seems to be wondering what the future of publishing is going to look like. If you read the newspapers, the blogs and the trades, there's no question that MAD MEN is a huge critical and popular hit. But if you look at the numbers, it's a different story. On Sunday, MAD MEN, drew 2.2 million viewers and scored a 0.8 rating. THE GLADES, which isn't getting nearly the same amount of buzz or adoration, drew 3.1 million and the same rating. THE GLADES also out-performed HBO's HUNG (2.5 million, 1.4) and ENTOURAGE (2.6 million, 1.5) in eyeballs, if not rating. So THE GLADES has more viewers than ENTOURAGE, HUNG, and MAD MEN… and yet isn't drawing anywhere near the same amount of media attention or adoration. Which, I suppose, may prove it's not how many viewers are actually watching your show that makes you a hit… it's how many people in the media say that you are one. Publishers' Weekly reports that Dorchester is getting out of the paperback book business and shifting to an e-book and POD model. […]Dorchester will continue to do print copies for its book club business and has signed a deal with Ingram Publisher Service for IPS to do print-on-demand copies for selected titles. According to Prebich, some e-books that are doing well in the digital marketplace will be released as trade paperbacks with IPS fulfilling orders; the company, however, will not do any more mass market paperbacks for retail distribution. I am running out the door, so I haven't had a chance to give this development much thought. I'll probably post more about it later. But I wonder what this means for their Hard Case Crime imprint? Hard Case Crime, an imprint owned by closely held Winterfall LLC, said it may seek to move its mystery books from Dorchester to another publishing house. "It's been a good run, but if they aren't publishing mass market paperbacks, we'll have to decide what to do. I'm a believer in the mass format, but I do understand the reality of the marketplace," said Charles Ardai, who owns Hard Case Crime. The country's largest consumer book publisher, Bertelsmann AG's Random House Inc., said it continues to be a strong believer in mass paperbacks. One of the country's most successful mystery writers, the late John D. MacDonald, is available from Random House exclusively in mass paperback. "It's still a viable, popular, lower-priced alternative to the other reading formats," said Stuart Applebaum, a spokesman for Random House. "It also has a committed readership. Will that commitment be forever in a transformative marketplace? We'll have to wait and see. It means that future Hard Case Crime titles will most likely be published by a company other than Dorchester (although Dorchester may still distribute them to their book club members). Third time proved to be the charm for A&E whose third original series, The Glades, debuted with 3.6 million viewers last night, posting the network's most-watched original drama series telecast ever. The Glades also broke records in the adults 18-49 and 25-54 demographics, delivering 1.4 million viewers and 1.2 million viewers, respectively. Combined with the encore airing, The Glades was watched by a total of 5.1 million viewers last night and grew by 38% from its lead-in. I have a vested interested in the news. Bill Rabkin and I wrote the third episode and are in the midst of writing another one now. Looks like BORAT director Larry Charles and CHARLIE'S ANGELS director McG have been watching STAR TREK: THE NEW VOYAGES, PHASE II, the fan-produced sequel to STAR TREK. Variety reports they've sold a pilot to NBC about a group of fans in a small town who produce their own version of a canceled TV show. Speaking of CHARLIE'S ANGELS, Variety reports that Josh Friedman is scripting a remake for ABC. Friedman previously wrote & produced the Fox series TERMINATOR: THE SARAH CONNOR CHRONICLES with writer/producer John Wirth who, incidentally, wrote a CHARLIE'S ANGELS reboot with LOST's Carleton Cuse that ABC passed on a few years ago.